Canyoning is somtimes called the pentathlon of the alps: climbing, swimming, jumping, sliding, roping. All of them can seem exhausting when you wear a neoprene suit – you are limited in your movements. Even when Canyoning tours go from easy to extrem, a good physical condition or general fitness is an advantage and makes it definitely more relaxed. It surely makes sence, to talk to the guide about it be before starting the tour or consider it when planing the tour. 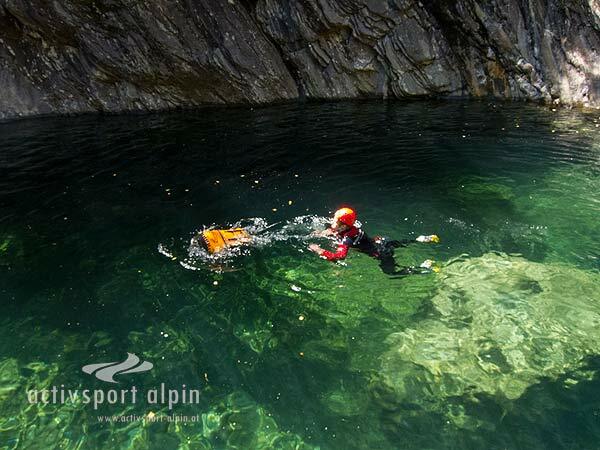 https://www.canyoning-profis-austria.at/wp-content/uploads/2016/04/CAPAU-Logo-w-300x197.png 0 0 fstadler https://www.canyoning-profis-austria.at/wp-content/uploads/2016/04/CAPAU-Logo-w-300x197.png fstadler2017-04-12 11:55:162017-04-19 16:30:23How exhausting is Canyoning? How dangerous is Canyoning? How do I become a Canyoning Guide?